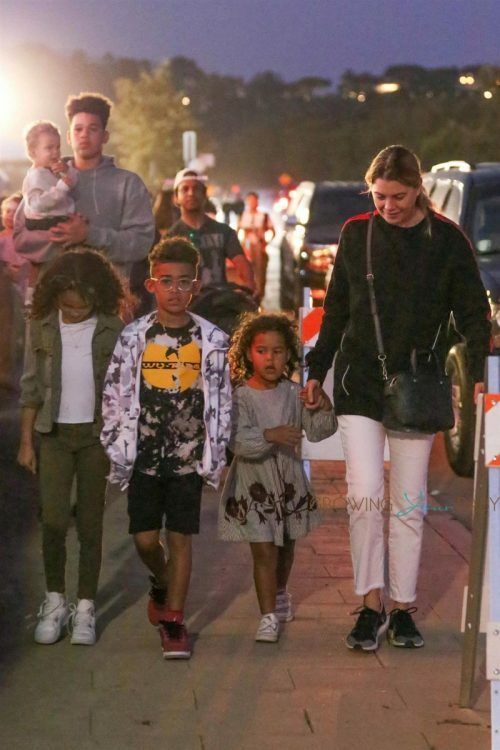 Ellen Pompeo and her family were spotted arriving at the Malibu Chili Cook-off together on Sunday, September 2nd, 2018. The Grey’s Anatomy star carried her youngest daughter Sienna while her daughter Stella stood close by. Ellen and her husband Chris(not pictured) were joined by family who helped carried Sienna as Ellen strolled with Stella. After enjoying some time in NYC and Italy this Summer, the actress has returned to work on the 15th season of her hit show. Cant’s wait for the show to return? It’s been confirmed that it will launch with a two-hour episode on Thursday, September 27. It sounds like it will be a good one for Ellen’s character Meredith. 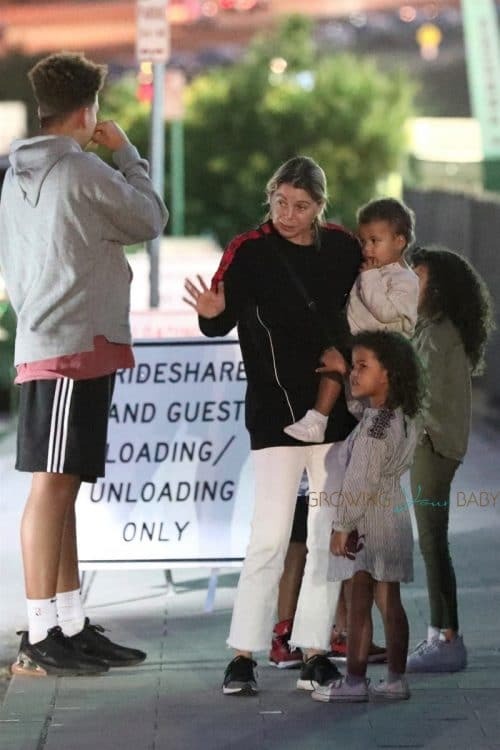 “Meredith [is going to] have a new trajectory that is more focused on who she is as a single mother and surgeon [including her investigation] into a medical condition that is very close to her own family background and history,” ABC entertainment president Channing Dungey revealed.